Since moving into our new house been slowly updating our old IKEA furniture from our student days to more substantial pieces that will hopefully last a lot longer. 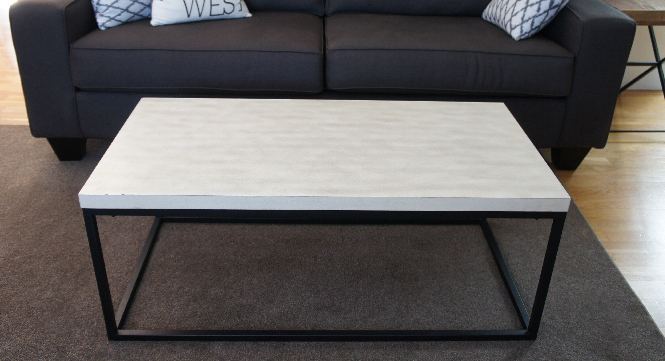 We found a coffee table style we liked, but just couldn’t justify paying $500–$750 for one. 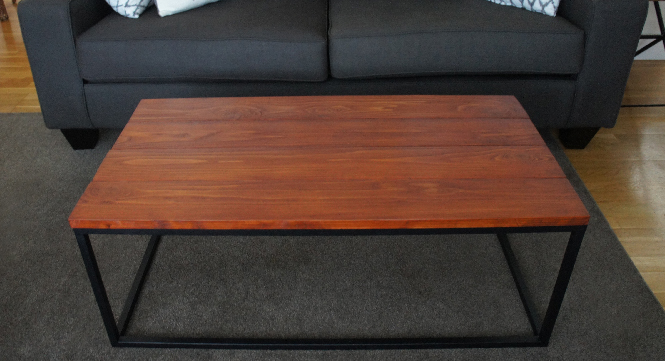 A few months passed and we happened to come across a similar table for only $90. It was the standard crappy particle board top, but had a decent metal frame base. 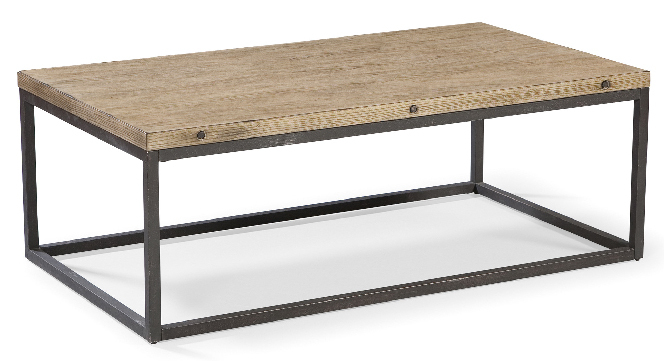 I new an afternoon would turn this $90 table in to the exact one we wanted. I used some rough-cut cedar I had left from some other reno’s to cut, sand, and stain in to the rustic table top we wanted.